In the aftermath of the growing international pressure on Pakistan to rein in Islamist groups active on its soil, China has decided to come in support of its ‘all-weather ally’. As per a report, China will sell long-range technically-advanced drones ‘Rainbow’ to Pakistan. 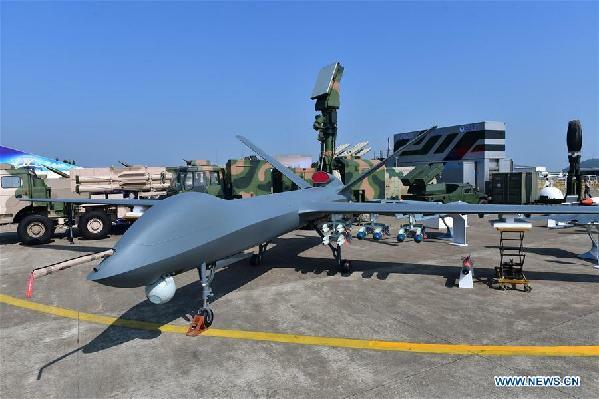 Rattled by the surgical strike carried out by Indian Air Force on terrorist training camps in Balakot, Pakistan has decided to procure Chinese unmanned aerial vehicle (UAV) Rainbow CH-4 and CH5. The CH-4 can carry up to 400 kilograms of explosives and can stay in the air for 40 hours. It can cover a range of up to 5,000 kilometres. On the other hand, Rainbow CH-5 can carry up to 1,000 kilograms of explosives and stay in the air up to 60 hours. The drone can fly up to 17,000 feet height in the air. In February, the Defence Ministry had approved 54 Israeli HAROP attack drones for Indian Air Force which can crash into high-value enemy military targets to destroy them completely. The IAF has an inventory of around 110 of such drones which have been renamed as P-4. But Pakistan did not have any long-range combatting drone until now.